What is Disabling Copy-paste function on the blog? 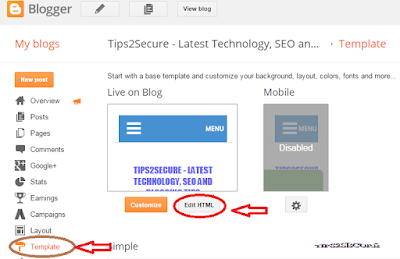 Disabling copy-paste function on a blog makes your blog more secure and protect your articles to be copied by someone. We consume our time, do efforts, do researches and other activities before writing and publishing an article. Sometimes, new bloggers or blog spammers start copying our articles to be published on their own blogs. Some people paste the copied article as ditto same on their blogs and some smart spammers do article spinning before posting and publishing the content. As a result, sometimes, the person had copied the article, rank better in Google and other search engines than the original writer of that article. It makes all the efforts of real author waste. If we consult with some experts or complaint this issue on forums, then we got replied to add author ownership in articles. But this does not work with article spinning. Why we disable this function? To protect our written articles from being copied. By disabling copy-paste from blogs, you can stop others to copy your articles, nobody can copy articles by selecting text or even by using "CTRL+A" shortcut key to copy. This will add values to your content. Your blog will also be safe from blog spammers and article spinners. How to disable Copy-Paste function from a blog? Step 1: Login to your Blogger's account. Step 2: Select your blog on which you want to activate this function. 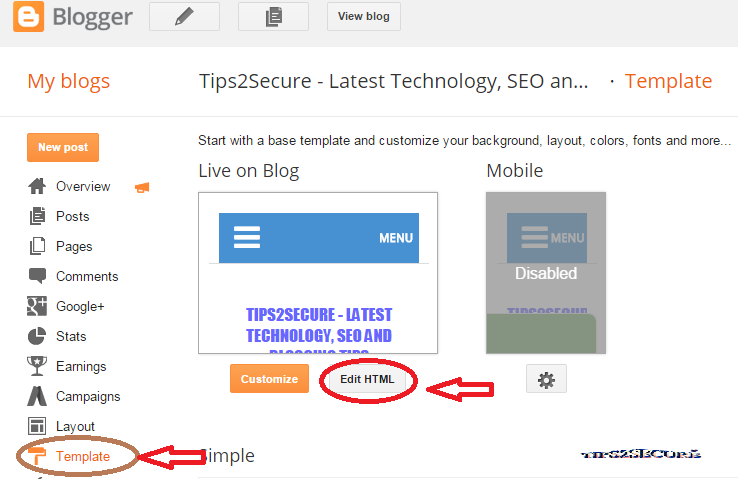 Step 3: Go to Template section and click on Edit HTML. Step 3: Locate " <header> " section in your coding of templates. Use "CTRL+F" to find header section. After pressing 'CTRL+F' it shows you a search box, then type ' <header> ' in that box and click Enter, it highlights the <header> section. If you are not able to locate <header> then try to locate <head>. Step 5: Click on Save Template. You also have to do the same. Go to your template editor or login into your hosting panel edit your codings and pasted the above-given code in your template. If your site is managed by Web designer or third party then send the above code to paste under header section. You can also send the URL of this blog to make him understand easily. Nowadays, adding this script becomes very necessary for bloggers to protect their contents and articles from spammers. I recommend you to do it ASAP, if you care about ownership of your articles and contents. Also, if you face any problem or difficulty in adding this code, then let me know your problem through comment box, I will help you with your problems. Message: I hope that you have enjoyed 'Disabling Copy-Paste Function from Blog and Websites - Complete Guide' article. However, if you want me to deliver more items then please share my post. You can use Social Sharing Widget provided at the end of every post. After all, Sharing is Caring! Yes, definitely this script will help you protecting your contents from being copied.